Niaz Nassiri is a NYS Licensed Behavior Analyst (001593) and a Board Certified Behavior Analyst (1-17-28965). She got her Bachelor of Science in Childhood Education and a dual Master’s degree in Literacy and Teaching Students with Disabilities at St. John’s University. She completed her advanced degree in Behavior Analysis through Florida Institute of Technology. She worked at reading centers, as a diagnostician and clinician diagnosing and remediating literacy deficits, including working with individuals with autism, dyslexia, and down syndrome (childhood-intermediate level). She utilized a variety of approaches to advance her learners, incorporating effective strategies, including The Orton-Gillingham Approach to reading instruction. 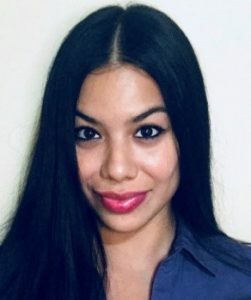 She gained experience working as a facility-based Early Intervention ABA therapist, and got promoted as a Director of Education, overseeing ABA classrooms, training accurate implementation of assessments and plan, and conducting teacher and parent trainings to ensure quality and care for all clients. She presented custom made autism trainings, at Early Intervention agencies, including ‘How to Decrease Problem Behaviors’ and ‘Gaining Stimulus Control’ to share her knowledge and experience in successfully managing and shaping skills, providing self-soothing/coping strategies, and supporting generalization. She has many years of experience working home care with children on the autism spectrum on a one-to-one basis, addressing physical, cognitive, communication, social/emotional, and self-help needs, while employing principles of Applied Behavior Analysis. She conducted Functional Behavior Assessments and designed Behavior Assessments and Intervention Plans to meet her students’ individual needs. Moreover, she used data monitoring tools, such a DataFinch-Catalyst and designed interventions to promote continued progress, working on Discrete Trial Teaching, Natural Environment Teaching, monitoring maladaptive behaviors and ensuring maintenance of skills. Niaz currently works in the field of behavioral health, providing supervision and direct therapy as a BCBA/LBA, serving individuals on the autism spectrum from birth-21 years of age, creating tailored programs based on assessments and overall clinical experience, to improve social, behavioral, and adaptive skills. She uses the latest research and evidence-based practices to provide quality care to her clients and their families. Her goal is to help individuals live up to their full potentials, facilitating their lives and making meaningful changes.